Purchased new when he was in college, this one-owner car sat for many years with a stuck engine. Recently retired from an engineering career, it was time to make it better than new. 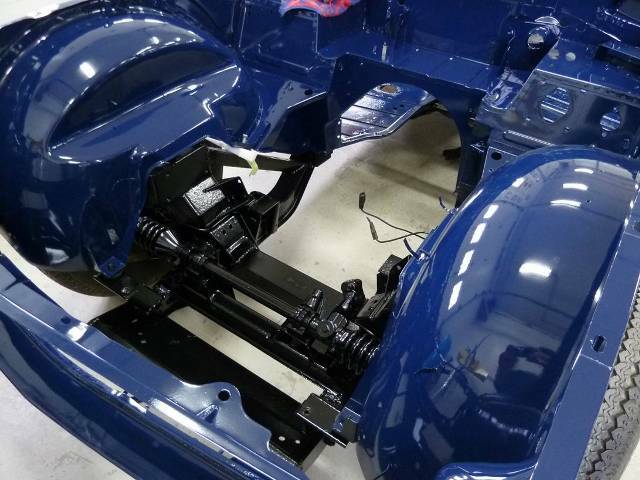 When we lifted the body off the frame we found rust in the usual places as well as in the chassis member that hold the rear swing arms. 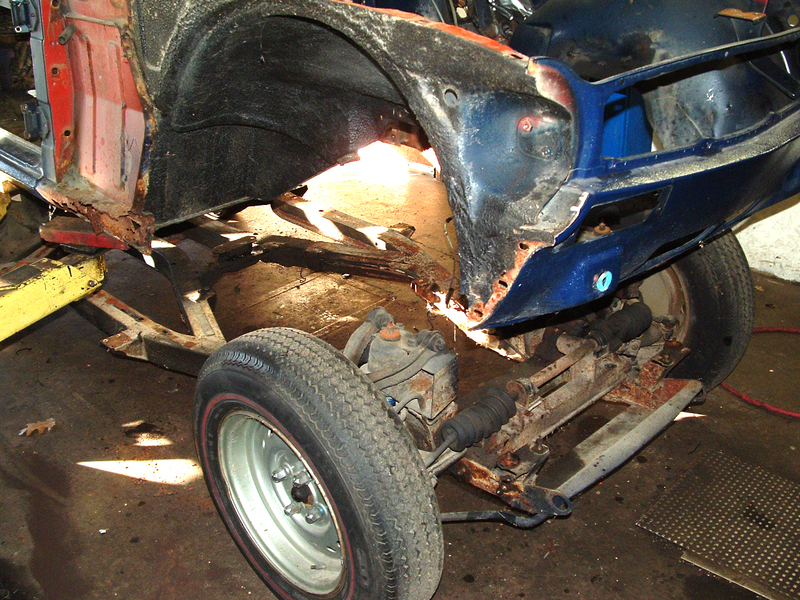 Here the rotted chassis member is cut out and replaced with the frame in an alignment. The front end, old and new. 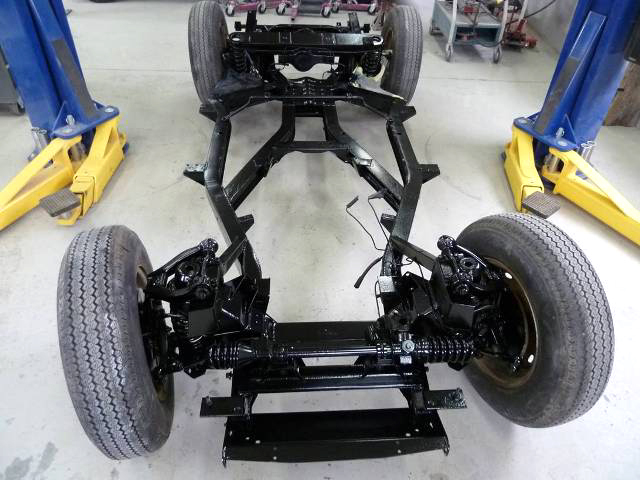 The rebuilt rear suspension and the chassis back on its wheels, ready for the body. 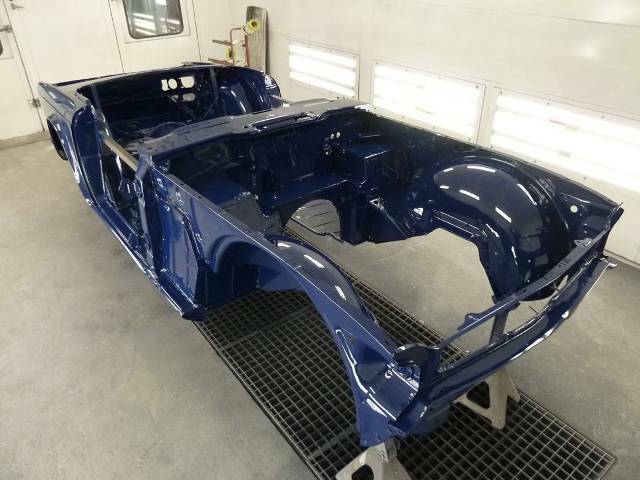 The body, repaired and in paint. 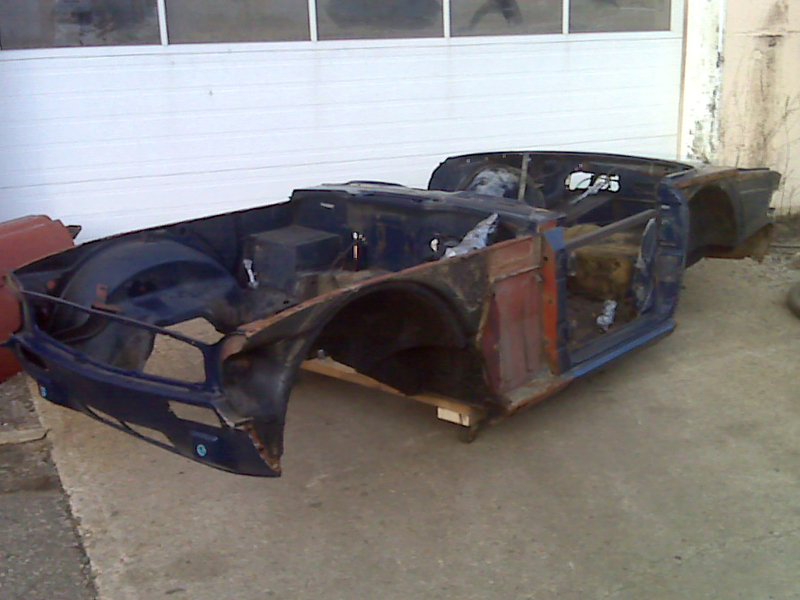 The engine bay as it was and ready for the engine. We found a couple of pistons stuck in their bores. After we rebuilt the engine and installed it and everything else under the hood, the owner drove it home for the first time in a decade.